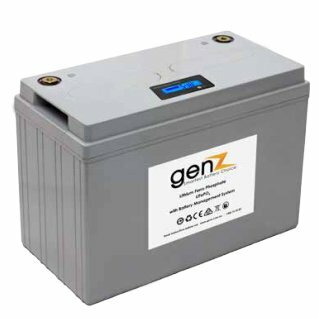 Australian designed and engineered genZ battery technology provides the safest, longest life, highest density, most fully recyclable battery products on the market. genZ hits the mark in all critical areas of performance, with a total cost of ownership that beats earlier generation batteries and advanced battery management systems. 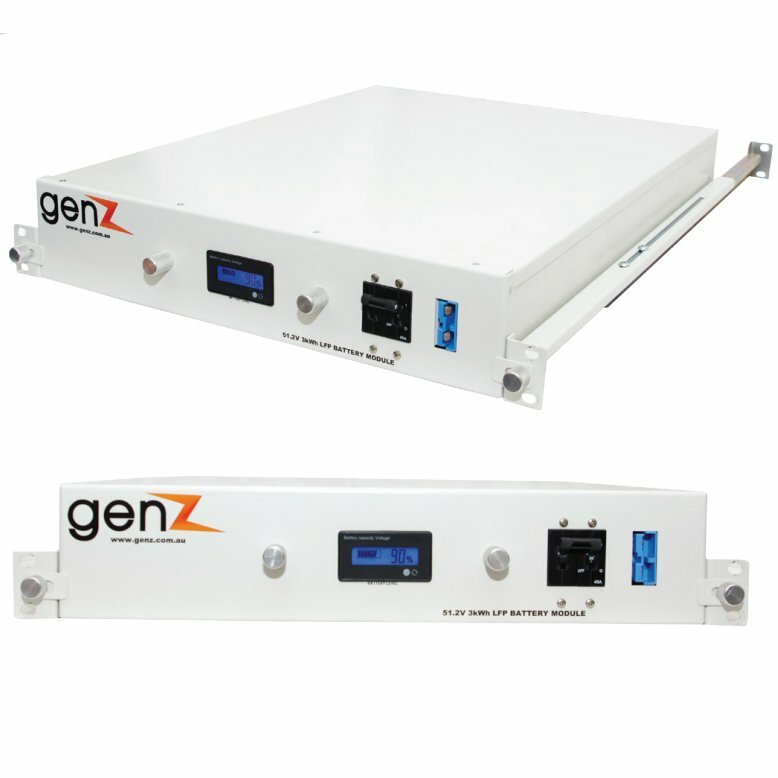 genZ LFP Smart Powerpacks are based on LiFePO4 battery chemistry and have been designed and engineered by us specifically for Australian operating environments, to allow for safer and greater performance from stored energy systems compared with traditional lead acid/gel and other lithium technologies. 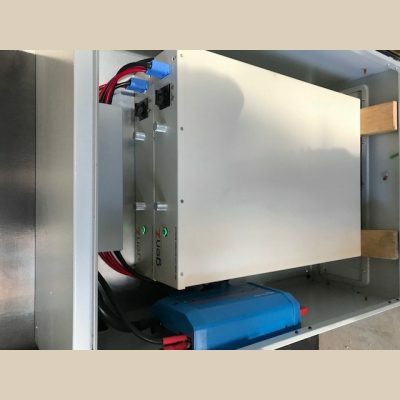 A smart Battery Management System (BMS) is built in to every LFP Smart Powerpack, allowing for easier recharge and up to 100% depth of discharge for every cycle. The BMS will always protect the cells which is great for constant demand from vital systems. The BMS protects the battery from irregular charge feed and over voltage/over current events making it ideal for solar PV designs. The BMS also monitors internal cell temperature. We stock a range of different voltage, amperage and case sizes with scalable 19” rack mounted units also available. GenZ Lithium Batteries operate up to 45 deg with out accelerate degradation compared to 25 deg for a Lead Acid battery. GenZ batteries are rated to 55 deg. GenZ Lithium Batteries can be paralleled easily to increase capacity. Lead Acid batteries are typically limited to 3 or 4 strings for charge balancing. Lithium Batteries will charge comfortably at C3 where a Lead Acid battery charges at C10. More efficient use of generator and available PV. Additional GenZ Lithium Batteries can be added to expand capacity at any time. GenZ Lithium Batteries are covered by a 10 year repair or replace warranty. Lead Acid is typically 1 to 3 years. 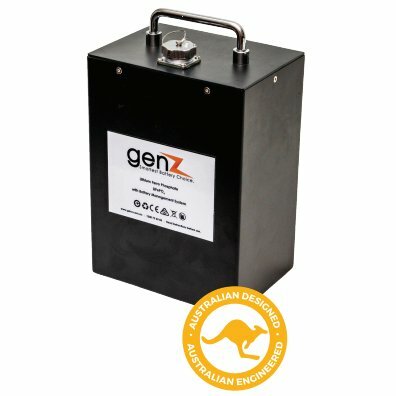 GenZ Lithium Batteries are design and tested in Australia for Australian conditions.